If you’re in the market for a sports car, then you have probably researched the 2016 Mazda MX-5 Miata and the 2016 Nissan 370Z. We’ve compared the base models as well as higher trims of both cars in categories like safety, fuel economy, suspension, handling, and chassis. Find out which sports car has the most standout features. You can expect both the Mazda MX-5 Miata and the Nissan 370Z to have standard driver front side-impact airbags, side-impact head airbags, passenger frontal airbags, front seatbelt pretensioners, four-wheel antilock brakes, traction control, electronic stability systems, and daytime running lights. The Mazda MX-5 Miata Grand Touring model has a lane departure warning system that alerts a driver when the vehicle begins to drift from its lane. The Grand Touring also has a blind spot warning system powered by digital cameras; the system shows moving objects in the vehicle’s blind spots. For reassured backing, the Grand Touring’s cross-path warning system warns the driver of vehicles approaching from the side with the use of a wide-angle radar in the rear bumper. The Mazda MX-5 Miata Club and Grand Touring models also have standard E911 Automatic Emergency Notification—a system that sends emergency personnel if any airbags deploy. The 370Z doesn’t offer a blind spot system, lane departure warning, cross-path warning system, or a GPS based emergency response system. The Mazda MX-5 Miata has stellar fuel efficiency with 27 mpg in the city and 34 mpg on the highway when equipped with a manual transmission. With an automatic transmission, city gas mileage stays the same, but highway gas mileage increases to 36 mpg. 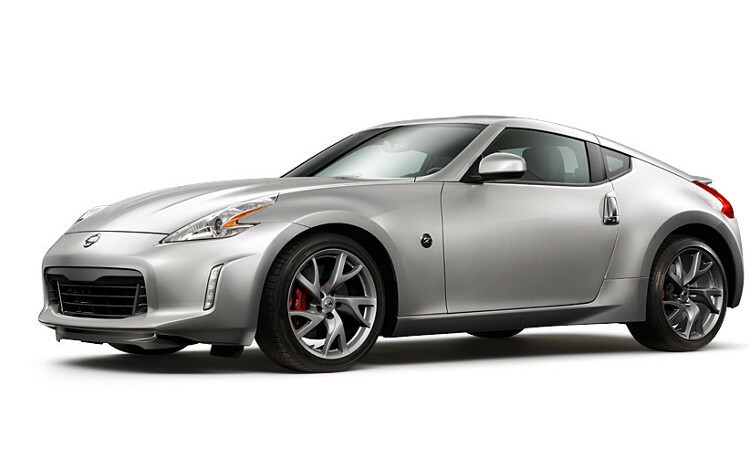 Comparatively, the 370Z only gets 17 mpg in the city and 24 mpg on the highway with a manual transmission. With an automatic transmission, it gets 18 mpg in the city and 25 mpg on the highway. The Mazda MX-5 Miata has excellent maneuverability with a turning circle that’s 2 feet tighter than the 370Z’s at 30.8 feet vs. 32.8 feet. The Mazda MX-5 Miata’s turning circle is 3.3 feet tighter than the 370Z Sport/NISMO model at 30.8 feet vs. 34.1 feet. 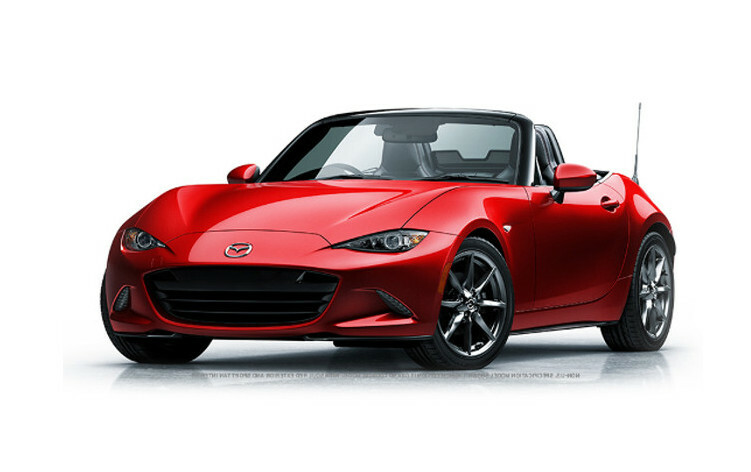 The Mazda MX-5 Miata is also 950 to 1100 pounds lighter than the Nissan 370Z models, which allows for optimal handling. The Mazda MX-5 Miata brings convenience. You can expect the Grand Touring model to have standard automatic wipers that adjust their speed according to the amount of rainfall. The 370Z has manually variable intermittent wipers. When driving the Grand Touring model at night, other drivers will appreciate the automatic adjusting headlights. The system detects other vehicles and automatically switches to low beams. You can’t find this feature on the 370Z. Also, the Grand Touring has standard adaptive headlights to illuminate around corners based on vehicle speed and steering wheel angle. The 370Z doesn’t offer cornering lights. Standard automatic dimming rear and side view mirrors on the Grand Touring model automatically darken when headlights shine on them to prevent vision impairment. While the 370Z offers an automatic rear view mirror, its side mirrors do not dim. Come see the winning 2016 Mazda MX-5 Miata at Biggers Mazda. We can match you with the perfect model that fits your lifestyle and interests best. To schedule your test drive with us, contact us online today.